Seeing anything through the eyes of a child is a wonderful experience and worthy of consideration. The first time they eat cake or try something sour. The first time they feel the grass on their skins, or explore the contours of your face. Your child’s first trip to our Port Lavaca dentist office should be no different. By the time the first tooth pokes out of their healthy, pink gums, our team is ready to introduce themselves to your loved one. Is it normal for children to fear the dentist? All children develop an apprehension to something at some point in their life. The key to overcoming this worry is to provide an open discussion to go over their fears. When a child is able to talk about their emotions, they become better at understanding how to deal with a vast majority of circumstances. 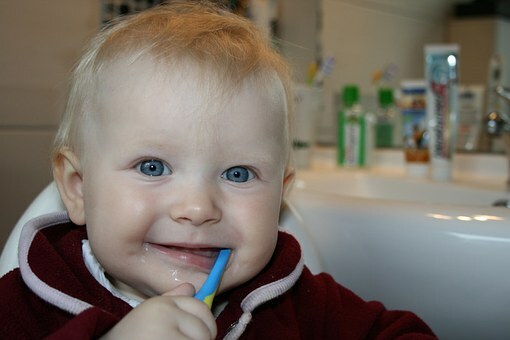 Unfortunately, children fear dental appointments often because of a bad experience. Overhearing adults talk about their dental procedures is another common cause of fear. Take care not to sugarcoat your message. However, realize that a child’s outburst about a dentist appointment may simply be due to the fact that they’ll miss their favorite show. Kids’ minds can create the best comedies at times, with irrational thoughts and explanations. Getting started off on the right foot by choosing our Port Lavaca dentist is a great way to encourage good oral health. Additionally, with our years of experience in Pediatric Dentistry, we understand how to create a comfortable first visit along with those appointments that follow as the years progress. Explain to your children how we want to count their teeth. Chat about the fun ride in the dental chair. An enjoyable first appointment sets the tone for the future of their oral care. Children who were introduced to oral health in a not-so-great situation by another dentist may feel better with sedation techniques. Our sedation procedures are safe and determined by our Port Lavaca dentist based on the child’s age, procedure, and anxiety levels. Our team loves talking with our patients of any age in order to create a comfortable, pain-free dental experience. Perhaps our best way to overcome a child’s fear is through calming techniques, thus a drug-free method. We are well-educated in working with young children, utilizing breathing techniques and calming manners in order to reduce the tension they exude. Everyone deserves a wonderful Port Lavaca dentist and staff who is compassionate about their patients and understanding of their needs. Our team is dedicated to providing this to all of our patients. And, we look forward to helping anyone reduce their dental fears. The results of our techniques create a great experience. This teaches children and adults alike how great oral health can be. For more tips, visit our Facebook page, or contact us to schedule a consultation.